Ever been to the beach at night? There is a certain romance that only the night can offer. When the moon is full, it shines brightly against the ocean. Imagine a wedding with the moonlit sea as your backdrop. You can barely see the waves coming in, but you can hear their captivating song. 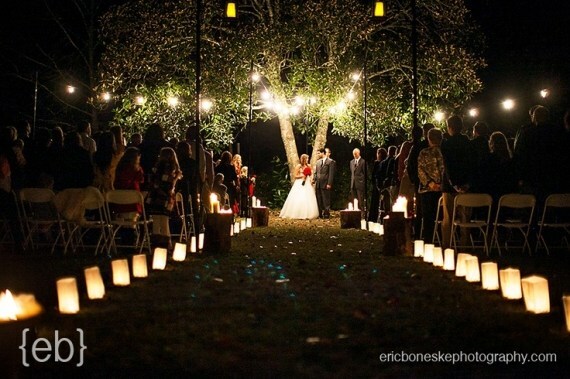 You walk along a pathway of softly glowing glass lanterns until you reach the archway under which you will exchange your vows. It’s elegantly draped with tiny white lights. It is cooler on the beach at night than it is during the day, so there is a nice breeze and your guests are very comfortable. If you truly love the beach, you understand its allure during the day as well. A wedding on the beach during the daylight hours is just as gorgeous as a wedding on the beach at night, but so much different…certainly a dramatic event in its own right. On a beautiful day, the sun will shine brightly down upon you and your spouse to be. It also creates an almost magical glistening effect atop the crystal clear waters of the beach of your choice. The aisle is a velvety carpet that leads you through the sandy beach to aromatic and colorful flowers that cascade from your wedding canopy. Guest chairs are adorned with fine ribbons that match your bridesmaid bouquets. These are just examples of some ideas, but your beach wedding – whether held during the day or at night – will reflect your style in its own breathtaking splendor. 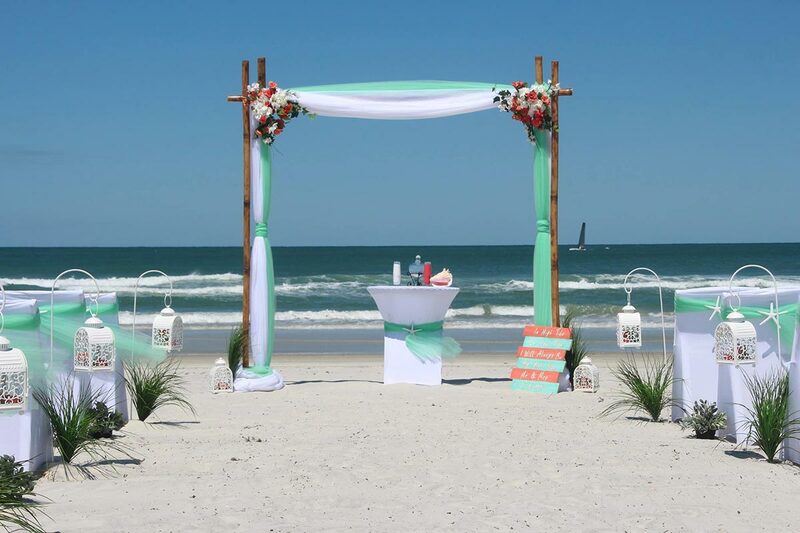 For help with your plans, contact Affordable Beach Wedding, the most trusted source for beach weddings in New Smyrna Beach, Daytona Beach, Ponce Inlet and Ormond Beach.